This iconic building was built for the Hawthorn Tramways Trust (HTT) and opened in 1916. Located at the junction of Power Street and Wallen Road, Hawthorn, it was designed by architect Leonard Flannagan  in an American Romanesque style. The depot initially consisted of a three storey building which housed offices, amenities and the electrical substation that provided traction power to the tramway, together with a four road tram shed located behind. It was enlarged in 1917 with a second three road tram shed designed by architects Sydney Smith and Ogg . 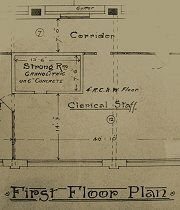 Detail from the original architectural plans for the Hawthorn Tram Depot, January 1915. From the collection on display at the Melbourne Tram Museum. The location of the tram depot was chosen as it was adjacent to the junction of the main Riversdale Road/Swan Street line and the Power Street/Richmond branch line. This ensured that there was a minimum amount of dead running to and from the depot for trams entering or leaving service. The tram depot also consisted of a civil engineering yard located to the west and below the depot fan, now occupied by the Leonda restaurant and car park. An unusual feature of the depot was a workshop located under the second tram shed accessed via a track through the civil engineering yard. Still located in the Leonda car park is the former stable and shed for the horse-drawn tower wagon used to maintain the tramway overhead. HTT tramcars operating from the depot ran the City to Wattle Park, City to Burwood and Richmond to Power Street tram services. 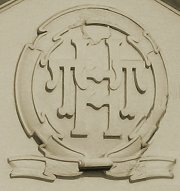 The HTT was taken over by the Melbourne & Metropolitan Tramways Board (M&MTB) in 1920. It was planned to further expand Hawthorn Depot, but it was clear that the rapid growth of electric tramway traffic in the 1920s was outstripping the growth potential of the site. Instead, a large new depot was built at Camberwell near the junction of the Burwood, Wattle Park and Burke Road tramlines. Conversion of Melbournes cable tram system to electric traction and construction of new tramlines saw Hawthorn Depot supply tramcars and crews for the Chapel Street and City-Hawthorn via Bridge Road services. 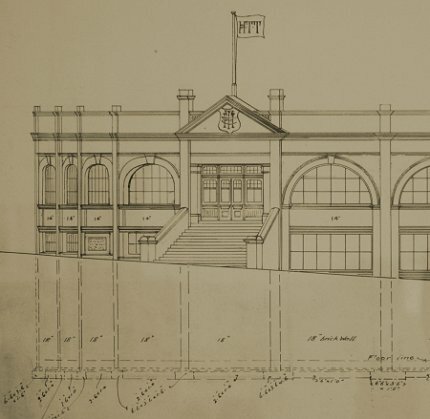 The depot continued to operate as a running depot, but acquired an additional function in 1925, when the M&MTB moved the tram driver and conductor schools to Hawthorn Depot from Fitzroy. The M&MTB also opened its own uniform factory in the depot building in 1940. Hawthorn Tram Depot, looking west from Power Street. Note the corner entrance and staircase, which were later removed. Photograph from an old postcard. The tram sheds were built for the narrow tramcars produced in the second decade of the twentieth century. However, in 1939 the M&MTB introduced new luxury SW6 class tramcars  with upholstered seats and sliding doors that were too wide to fit into the old tram sheds. Passengers of routes operated out of Hawthorn demanded that some of these more comfortable trams be allocated to these services, so the brick facades were removed in the 1940s, which just allowed the wider tramcars to squeeze in. The increase of motor car traffic saw a declining need for public transport carried by trams, so Hawthorn Depot was closed as a running depot in 1965 due to the elimination of the City-Hawthorn service and its replacement by diversion of the City-Burwood service from Swan Street and Batman Avenue to Bridge Road and Flinders Street. Instead of continuing as a running depot, it was used only for storage of surplus tramcars, and for tramcars required for operation of the driver training school. In the early 1990s, the manufacture of uniforms was contracted out to commercial suppliers and driver training was returned to individual depots, so the building seemed doomed to decay and abandonment. 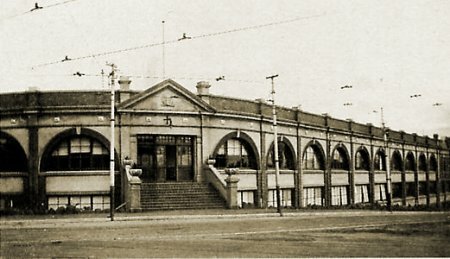 In 1996, the depot was included on the Victorian Heritage Register and soon after, was offered for redevelopment. The redevelopment, completed in 2002, included the innovative conversion of the main depot building to residential units and the building of new residential units at the rear of the depot site. The original facades of the two sheds were reconstructed, although all that remains of the second shed is the facade  the rest of the building was replaced by the residential development. 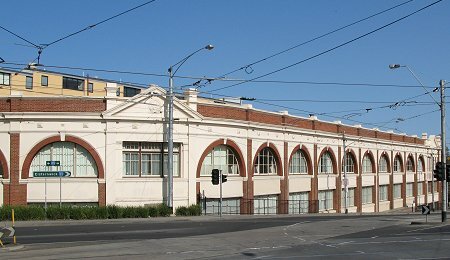 Hawthorn Tram Depot, looking west from Power Street, September 2008. As part of the same development, the original shed was restored and given a new lease of life in January 2003 when it was officially opened as the Melbourne Tram Museum to house Melbournes heritage tram fleet. SW6 class and later tramcars were known as big cars by the M&MTB running staff due to their greater width than previous trams, although they were actually slightly shorter than older standard W class tramcars.